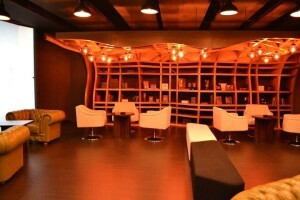 The Global Coworking Blog – Page 3 – Coworking everywhere! The Coworking Africa conference, the first major event organized on the topic of Coworking in Africa, is to take place in Cape Town, South Africa, on July 23rd and 24th 2015. During two days, Cape Town will be the African capital of Coworking, an ever more successful work model that is becoming the natural professional environment of the new breed of digital workers, startups, and distributed companies who are shaping the economy of the 21st century. Coworking spaces are (mainly) open floor or building where people active on respective different businesses come to work on a same mutualised flexible place shared with peers. More than 5.800 spaces are operating in the world. The number almost doubles every year. Although Africa still is a small player in the Coworking landscape, the booming tech scene and major demographic shifts are creating the ideal conditions to unleash the development of many more Coworking spaces all across the continent. 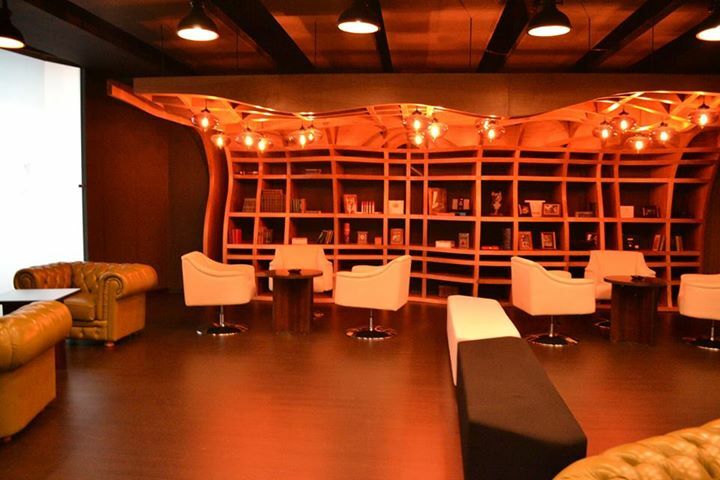 Within the last 18 months, the number of Coworking spaces in Africa more than tripled. Nowadays, more than 100 units are in operation on the whole continent, to extend that one can now say : Coworking in Africa is now on the same growth trend Europe and the US were five years ago. Coworking empowers freelancers, remote employees and entrepreneurs all over Africa in multiple ways. Infrastructure wise, coworking spaces are local hotspot where users can now benefit from an efficient connectivity solutions as well as access to an affordable qualitative working environment to operate their activity in African cities often experiencing high real estate costs. From a business perspective, the community dynamic of a coworking spaces brings freelancers and small businesses with more visibility and networking opportunities to boost their activity. More broadly, Coworking spaces physically support the development of local entrepreneurial ecosystem, connected with other communities in Africa and in the rest of the world. More than 100 delegates from Africa and beyond are expected in Cape Town to attend the Coworking Africa 2015 conference. Coworking Africa 2015 is the result of a partnership between Global Enterprise and Cape Town Office. That building in your town, with lots of people coming in and out, working on tables and chairs, or even small offices. Everybody wants to know what it is all about. So how do you explain it? The truth is, that its just like any other office…. but filled with people, who coincidentally, are all amazing, pursuing their dreams and feeding of each others energy and help. But this is just the surface. CoWORK is a web series that looks to expose the inner workings of this environment. The producers look to take the humor, the nuances, the people, the disagreements and everything else and place it into 20 min episodes about life within these types of space. Based on reality, CoWORK is a show about what really goes on inside a cowork space. So whats your take? What is your pet policy? 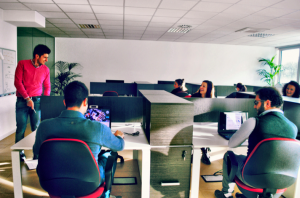 Have a look at: Coworking Europe! Note: This blog post first appeared on Katia’s Blog, La nomade sédentaire and is republished here with permission. We have recently decided to revisit the English-Only policy on this blog (it is after all a Global Blog, right?) and we couldn”t have found a better way to kick it off if we had written it ourselves! And a big shoutout to Betacowork for tipping us off to the article, thanks! Aujourd’hui, pleins feux sur le Coworking Visa. Si vous êtes indépendant ou adepte du télétravail, que vous pratiquez le coworking ou envisagez de le faire, ce billet pourrait bien vous intéresser. Le coworking, j’en ai déjà longuement parlé. Par exemple dans ce billet, où j’explique le concept en détail, ou celui-ci, où je raconte une journée type dans un espace de coworking. J’ai également déjà parlé des avantages du coworking pour les traducteurs, ainsi que de l’un des principaux bienfaits du coworking, à savoir la sérendipité. 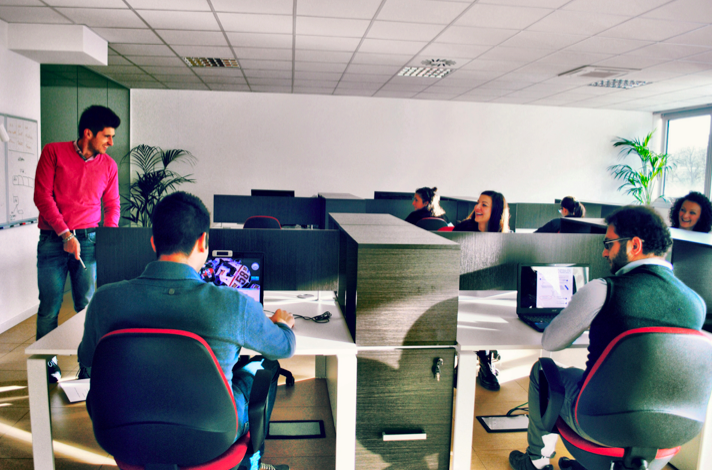 Coworking vs. business center – c’est pas la même chose, ma p’tite dame! Si vous êtes nouveau sur ce blog et que vous n’avez jamais entendu parler du coworking, voici en deux mots de quoi il s’agit. 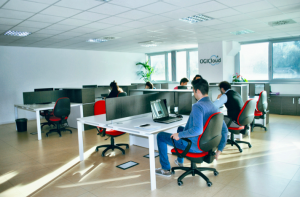 Les espaces de coworking accueillent les travailleursindépendants, mais aussi les adeptes du télétravail, et leur offrent un espace de travail partagé. Mais bon, là, je résume vraiment très fort. Car le coworking est bien plus qu’une question d’espace de travail. Et c’est d’ailleurs ce qui le distingue des simples business centers, qui se contentent de vous louer un bureau et les services qui vont avec. Le coworking, c’est une véritable communauté, où les talents se rencontrent, se mélangent, se découvrent, s’entraident et s’enrichissent mutuellement. Pour en savoir plus, je vous invite à (re)lire mes précédents billets sur le sujet. Le Coworking Visa – un visa pour la liberté! Vous avez tout compris: en adhérant à l’un des espaces de coworking membres du coworking visa, ce sont plus de 450 espaces de coworking, dans le monde entier, qui s’offrent à vous, gratuitement! Le coworking visa, c’est la solution pour nous, les indépendants, qui partons rarement en vacances sans notre ordinateur. Mais aussi pour ceux qui, comme moi, ont trouvé la solution pour assouvir leur besoin de nomadisme: les échanges de maisons. Imaginez: vous avez prévu d’échanger votre appartement à Bruxelles contre une maison en Grèce, au bord de la mer – c’est l’exemple le plus récent qui me vient à l’esprit, celui d’une amie qui a réalisé son tout premier échange de maison, cet été – sur mes conseils. Cela faisait longtemps qu’elle était tentée par les échanges, mais elle n’avait jamais vraiment osé franchir le pas. Finalement, lorsque cette dame lui a proposé d’échanger sa maison au bord de la Méditerranée pendant trois semaines, il ne lui a pas fallu bien longtemps avant d’accepter. L’échange s’est merveilleusement bien passé et mon amie ne jure désormais plus que par ce mode de voyage. Bref, je disais donc imaginez que vous décidiez d’opter pour un échange de maisons. Vous êtes indépendant, vous travaillez à distance et pouvez donc faire votre travail depuis n’importe où. L’hiver arrive, pas de vacances prévues (trop de travail, ou pas les moyens de vous offrir quelques jours de repos), mais vous avez envie de changer d’air. La solution? Vous échangez votre appartement et, si vous êtes membre d’un espace de coworking, vous avez gratuitement accès aux espaces de coworking inscrits sur la liste du coworking visa! C’est pas beau, ça? Comme je le dis plus haut, avoir accès à ces espaces, ce n’est pas juste bénéficier d’un espace de travail: c’est l’occasion derencontrer des professionnels locaux, d’élargir votre réseau à l’international et de faire de jolies découvertes. Que vous soyez à l’étranger pour des raisons personnelles ou professionnelles, pour trois jours ou pour trois mois, songez donc au coworking visa! Concrètement, il vous suffit d’envoyer un mail à l’espace de coworking de votre choix quelques jours avant votre arrivée et le tour est joué. Je vous souhaite de jolies découvertes et n’hésitez pas à m’écrire pour en savoir plus ou si vous souhaitez partager votre expérience! Coworking is increasing in popularity to the point where, something that was once nearly unheard of, is now a common way to do business. 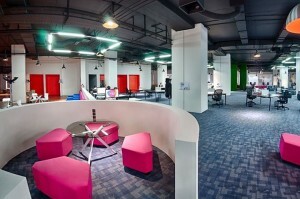 From entrepreneurs to start-ups to small businesses, working in a shared workspace is often the economical thing to do. When we polled coworkers to see what they loved most about the environment, here’s what they had to say. Read on for 5 reasons current coworkers love their set-up and decide if coworking might be a good fit for you too! Friends to eat lunch with. 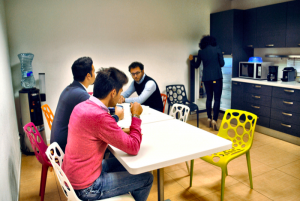 Many individuals who work out of coworking spaces otherwise work alone. These are the folks who used to hole up in coffee shops nursing a cup of tea and praying the WiFi wouldn’t disappear. For many entrepreneurs and small business owners, coworking allows them time to socialize and network with other professionals and have someone to talk to occasionally throughout the workweek. Learning what all the companies in the office do. Netowrking is a major perk of coworking spaces but sometimes it goes a step farther. Many small business owners find that the “stranger” at the desk next to them actually provides a service their own company can benefit from. Wandering around the shared workspace and striking up conversations from time to time allows you to learn about all the other businesses in the room. This can be useful from a professional standpoint or simply help you get to know your neighbors. Watching new professional connections and friendships form. It’s not all about you. Working in a shared space every day means you get to watch other business partnerships thrive. A startup that originally has just two or three employees, might grow over time, hire freelancers from within the coworking space full time and move to a corner office. This is typical of coworking spaces. They have some of the brightest most industrious minds in the field all working together. That frequently leads to success! Perks like free coffee/beer/massage chairs and 24/7 access. Of course, everyone benefits from the office amenities. Coworking spaces like UberOffices in Washington, DC offer free coffee, happy hours, frozen yogurt machines, and massage chairs. The 24/7 accessibility also means that night owls can get work done when a normal office may not allow them access. 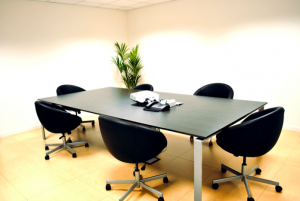 For many startups, renting space and furnishing an office is simply out of their price range. This is especially the case if the company grows quickly (as many startups do) and the business is forced to upgrade to a larger space just a few months in. Coworking space allows for low overhead and a variety of different office sizes so as a company grows they can stay onsite for optimal collaboration.